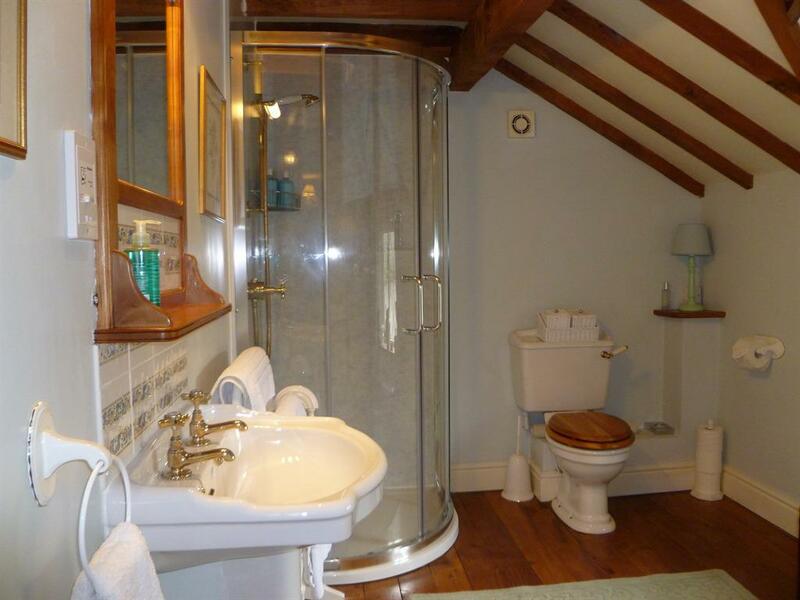 Approached from the landing, a door opens into this room, comprising of the bedroom and ensuite shower room. 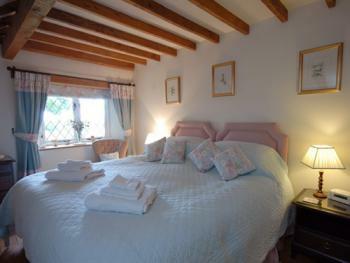 The bed room has a king size bed with beams and carpeted floor. 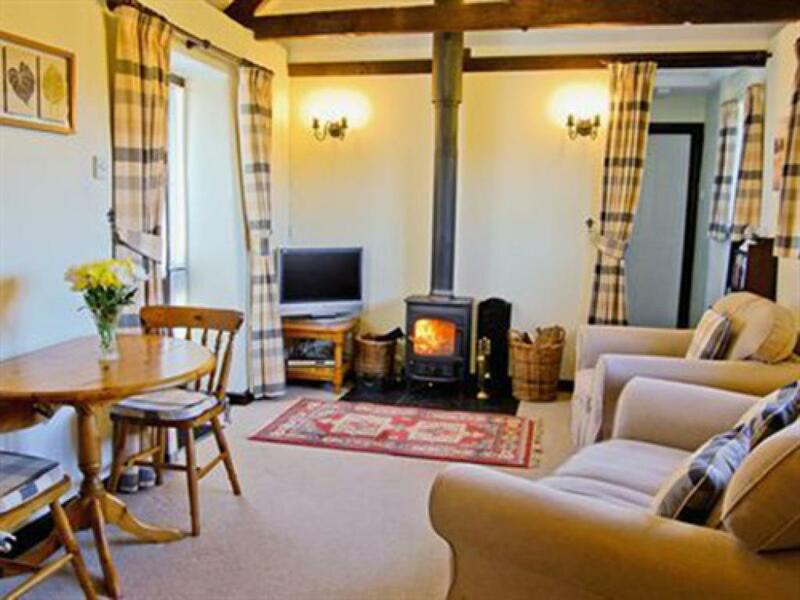 Windows with views of the garden and wooded countryside beyond and furnished and decorated to a high standard with comfy chairs for relaxation. There is a well stocked hospitality tray, flat screen freeview TV, clock radio, hairdryer, mini fridge, magazines and guide books. Celebration packages including champagne, chocolates, fruit and flowers can be organised if required. Please advise when prompted during the booking process. The shower room is a large room well equipped for your stay with white fluffy towels, robes and St. Kitts Herbery complimentary toiletries. Approached from the landing, a door opens into this suite comprising of the bedroom and ensuite shower room. The bedroom has a super king size/twin bed with exposed beams and exposed elm floor. 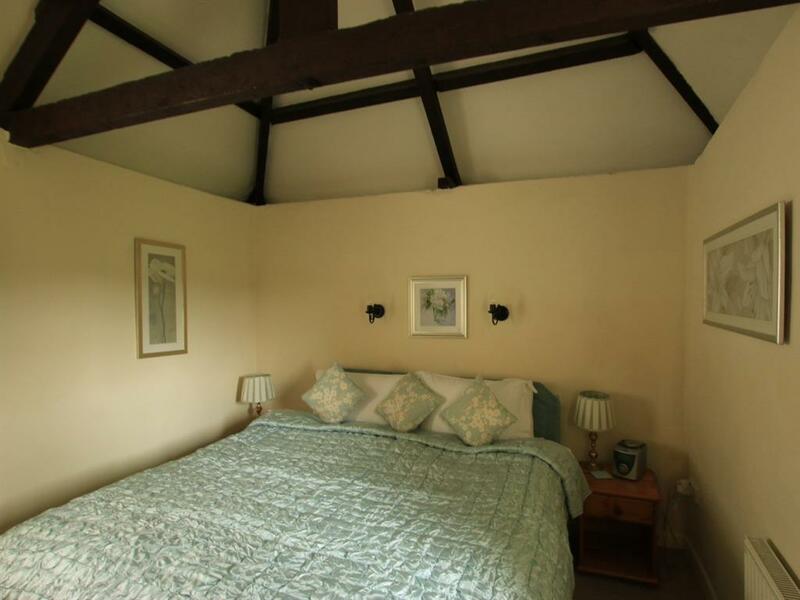 If required this room can accommodate a cot or three foot fold-out bed on request.The windows have views over the garden and woooded countryside beyond. 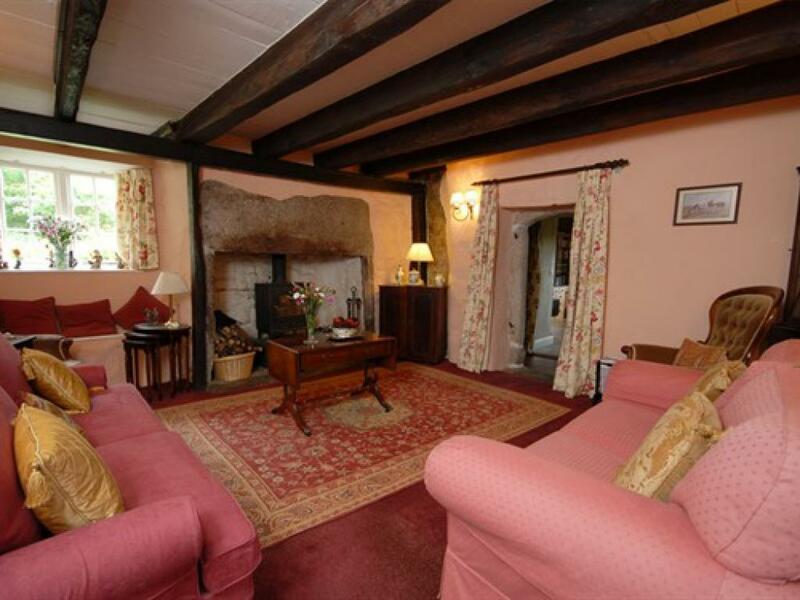 It is furnished and decorated to a high standard with comfy chairs for relaxation. The room is equipped with a well stocked hospitality tray, flat screen freeview TV, clock radio, hairdryer, mini fridge, magazines and guide books. Celebration packages including champagne, chocolates, fruit and flowers can be organised if required. Please advise when prompted during the booking process. The spacious shower room is well equipped for your stay with white fluffy towels, robes and St. Kitts Herbery complimentary toiletries. Welcome to Mennabroom. 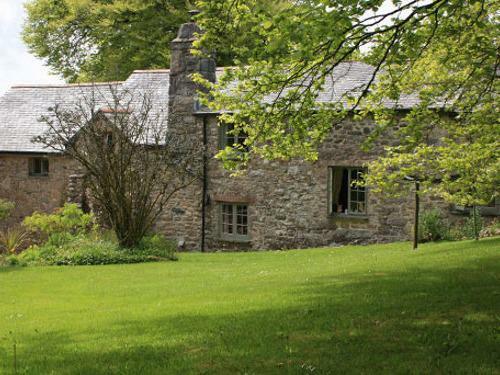 Mennabroom is a small country estate with an historic farmhouse and three holiday cottages, situated on the southern edge of Bodmin Moor in South East Cornwall. 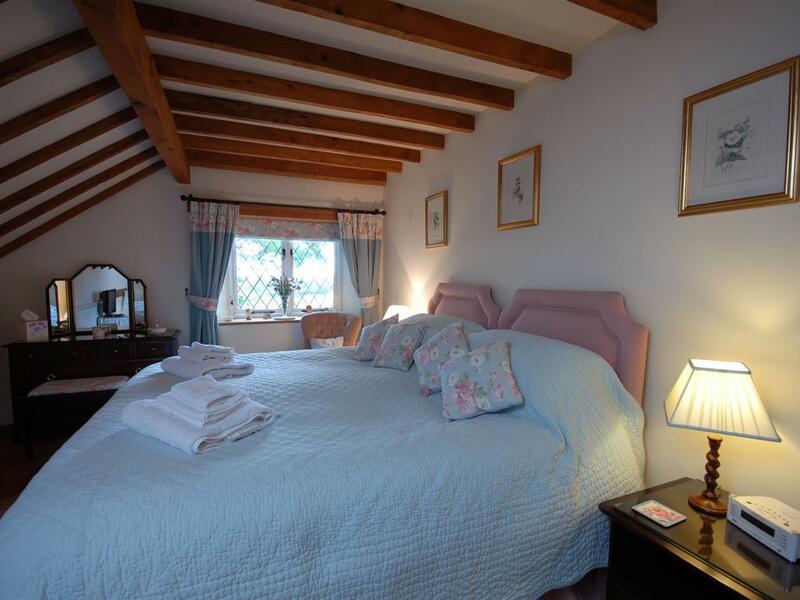 The farm offers award winning luxury bed and breakfast accommodation in the house and self catering in its three cottages. All are grade II listed and have been sympathetically restored, tastefully combining 21st century with 13th to 17th century. The bed and breakfast accommodation offers one luxury king sized room and one luxury super king/twin bedded room, both with en-suite facilities. 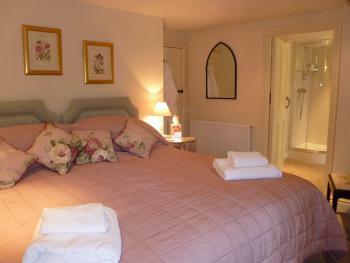 Both rooms are well appointed with views over the gardens, courtyard and moor beyond. In addition to these rooms we also have The Byre Cottage in the courtyard which offers flexible bed and breakfast which can either be taken in the cottage, delivered to your door or in the farmhouse depending on availability from the same menu. 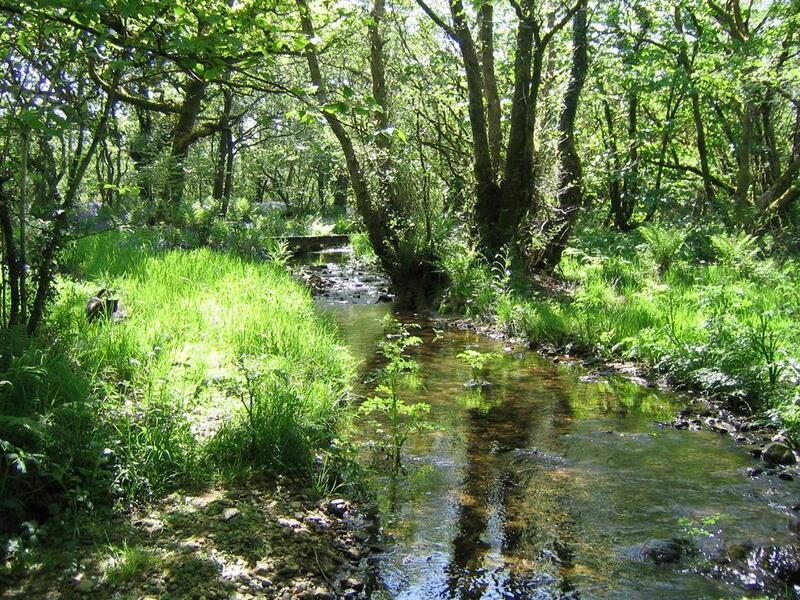 Visitors are most welcome to wander our land which include river and ancient woodland walks. When eating at Mennabroom you will be pleased to know we source all our foodstuffs wherever possible within the County of Cornwall. All is seasonal and freshly prepared. 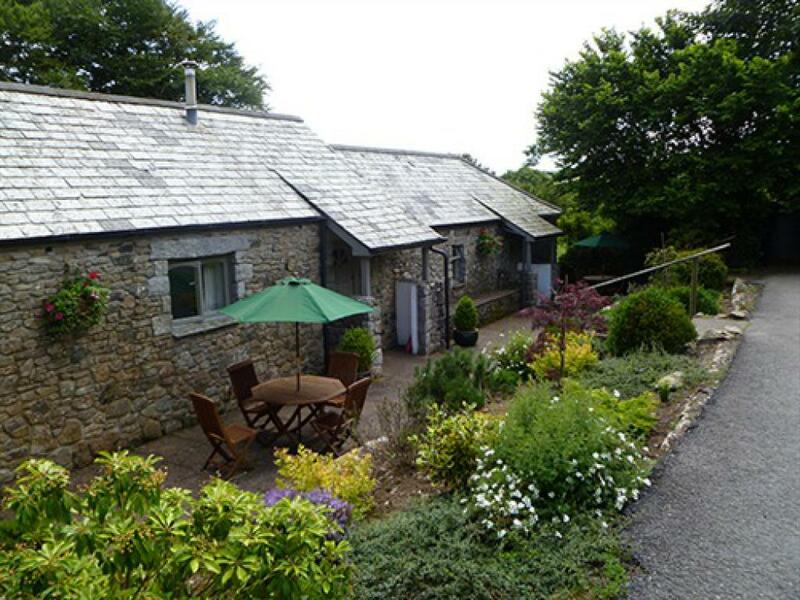 Situated close to both the A30 and A38 makes Mennabroom ideal for both touring Cornwall and Devon. 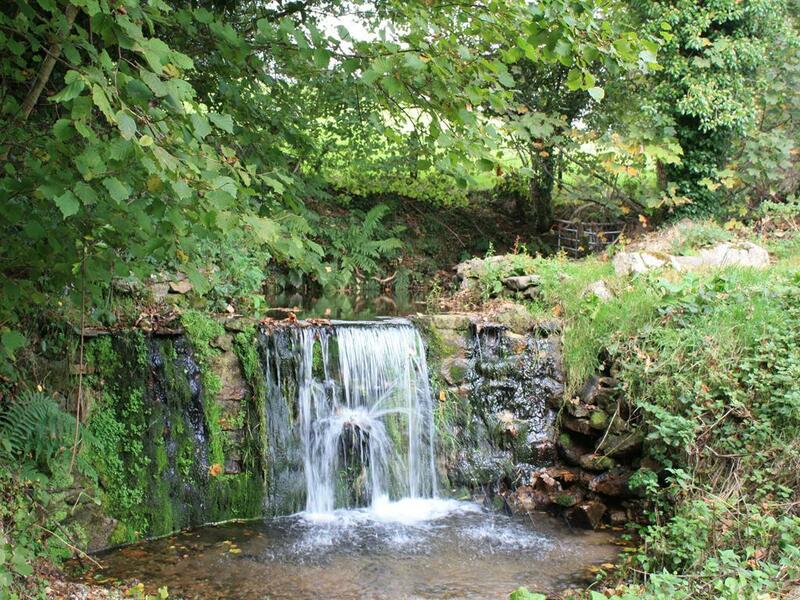 In this area there is plenty to see and do, the Eden Project and Lanhydrock House being close by. 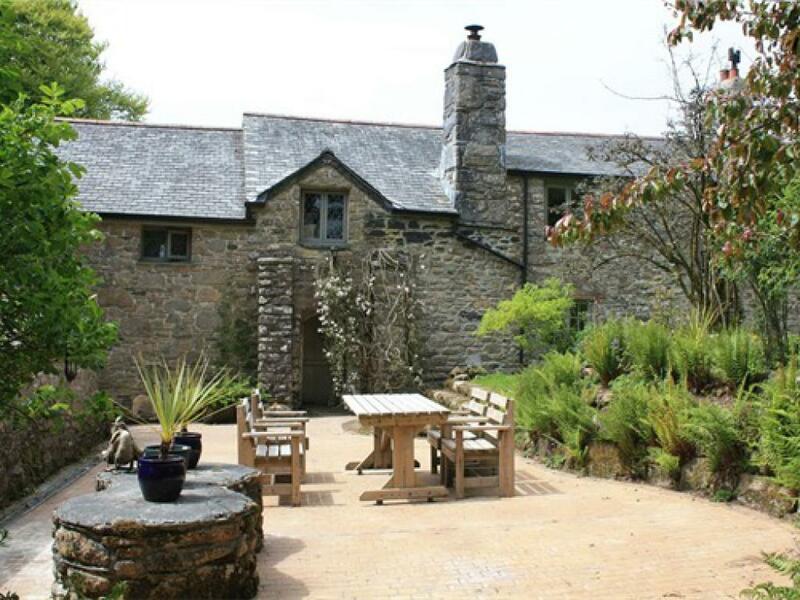 Both Padstow to the north and Fowey to the south are only short distance away, so there is plenty to offer couples and families. 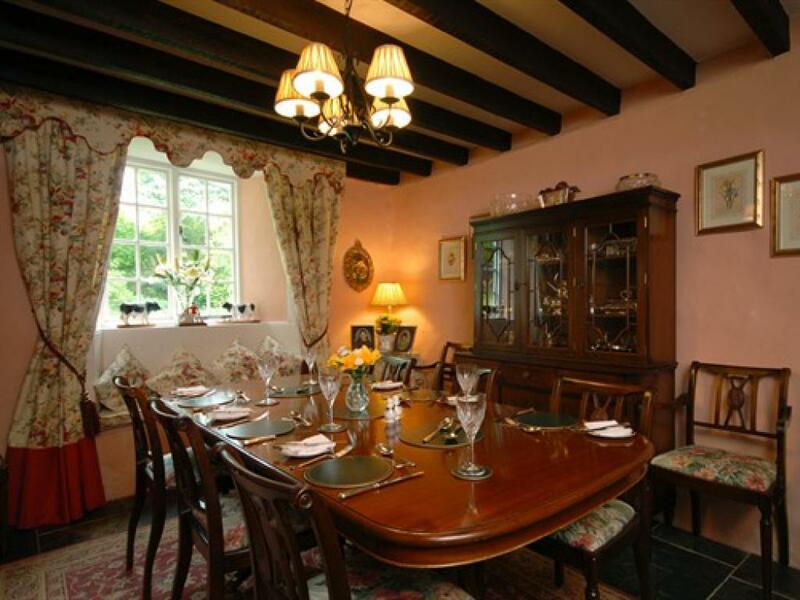 As the property dates back to the 13th Century many of the rooms are on different levels with steps. Handrails provided on the stairs. Take the A30 heading south west signed Bodmin. After the Launceston turning still heading to Bodmin, pass the Jamaica Inn turning. Shortly after this, take a left turn signed Colliford Lake Park. 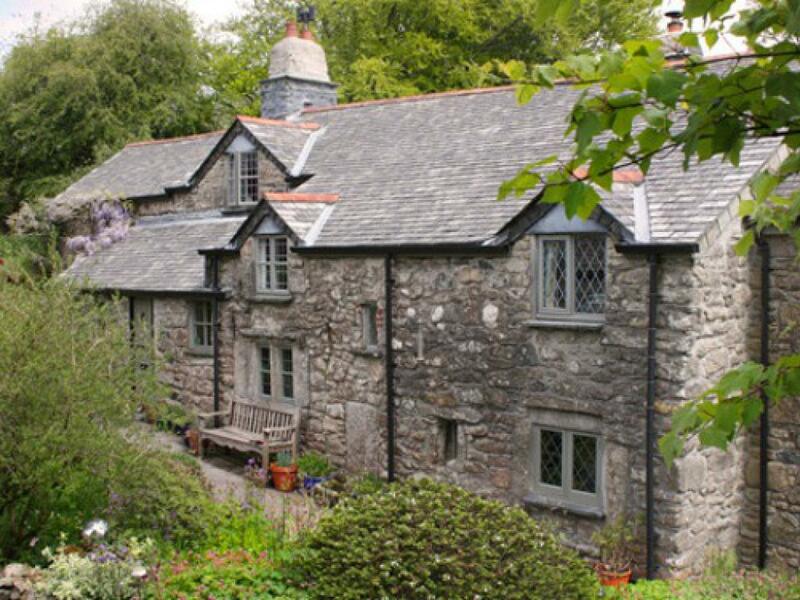 Drive for 3 miles crossing over 4 cattle grids, (do not turn off to Warleggan), and just before the fifth cattle grid, fork right signed Mennabroom Cottages and Tamar. You will see the lane is marked unsuitable for HGV's. After approximately 25 yards, turn right at the Mennabroom sign. Take the A38 to Liskeard. 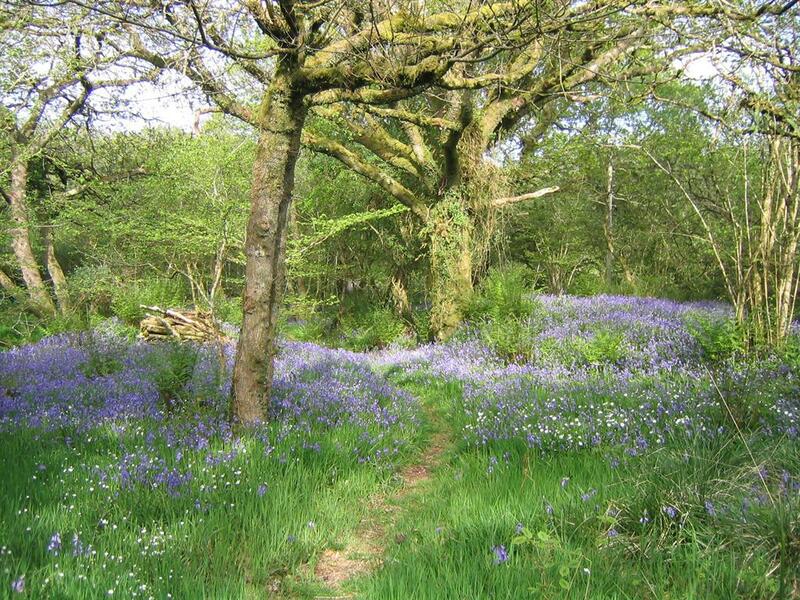 From Liskeard continue in the Bodmin direction along the A38. Follow signs to St. Neot/Carnglaze Caverns. Drive through St. Neot and up Tripp Hill. Turn right at the first signpost to Colliford Lake. At next junction bear right and continue for approximately 2 miles. After the cattle grid signed Letter Moor, turn sharp left, signed Mennabroom Cottages and Tamar. You will see the lane is marked unsuitable for HGV's. After 25 yards, turn right at the Mennabroom sign. Newquay Airport is 45minutes by car Exeter Airport is 60 minutes by car Bristol airport is 2 hours by car Air Southwest, Flybe, Air Wales,Ryanair, Easyjet, British Airways and Skybus use the above airports.